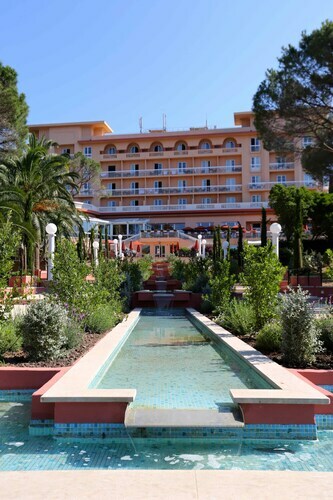 Situated in Roquebrune-sur-Argens, this hotel is within 9 mi (15 km) of Golf De Roquebrune, Frejus Beach, and Saint-Raphael Beach. Frejus Amphitheatre and Mosquee Missiri de Djenne are also within 9 mi (15 km). Nestled on the beach, this Les Issambres resort is within 3 mi (5 km) of San Peire Beach, Nartelle Beach, and West Gaillarde Beach. Gaillarde Beach and Saint-Tropez Gulf are also within 3 mi (5 km). Located in Les Issambres, this spa residence is 0.3 mi (0.5 km) from San Peire Beach and within 3 mi (5 km) of Nartelle Beach and West Gaillarde Beach. Gaillarde Beach and Saint-Tropez Gulf are also within 3 mi (5 km). 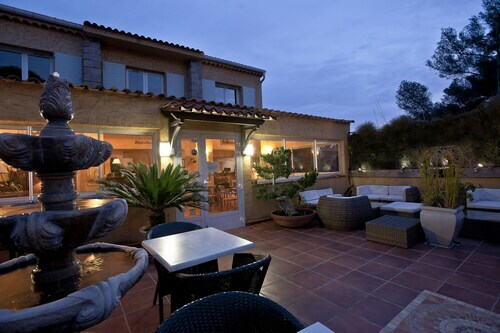 Located in Les Issambres, this hotel is within 2 mi (3 km) of San Peire Beach, West Gaillarde Beach, and Gaillarde Beach. Nartelle Beach is 2.7 mi (4.4 km) away. Offering direct access to the beach, this Les Issambres hotel is within 1 mi (2 km) of West Gaillarde Beach and Gaillarde Beach. San Peire Beach is 1.4 mi (2.3 km) away. Situated near the beach, this luxury hotel is 0.1 mi (0.1 km) from Golf De Roquebrune and within 6 mi (10 km) of Frejus Beach and Galiote Beach. Frejus Amphitheatre and Frejus Cathedral are also within 6 mi (10 km). How Much is a Hotel Room in Roquebrune-sur-Argens? 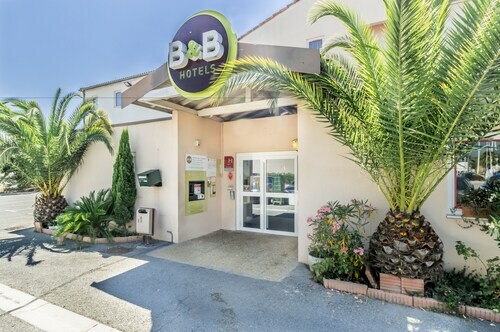 Hotels in Roquebrune-sur-Argens start at $56 per night. Prices and availability subject to change. Additional terms may apply. Roaming towards Roquebrune-sur-Argens? There is a fantastic range of perfect places to stay for the modern traveler to choose from. Travelocity's up-to-date database includes 30 hotels and other accommodation options conveniently located within a 6-mile (10-kilometer) radius of the heart of Roquebrune-sur-Argens. Discover Club Vacanciel Roquebrune and ESTIVEL - Villas Green Bastide within walking distance of central Roquebrune-sur-Argens. If you are chasing cheap and cheerful places to base yourself you could try the Pierre & Vacances Premium Les Calanques des Issambres, Hôtel Le Provençal and Club Vacanciel Roquebrune. The Château de la Messardière is about 12 miles (19 kilometers) away from central Roquebrune-sur-Argens. Another accommodation option is the Althoff Hotel Villa Belrose, which can be found approximately 12 miles (19 kilometers) away. Alternative places to stay are the La Résidence de la Pinède and the La Bastide de Saint Tropez. If time permits, you should travel further in the Provence - Alpes - Cote d'Azur region. Provence - Alpes - Cote d'Azur is marked by rural landscapes, beaches, mountains and gorges. The best vacation destinations include ruins and traditional villages. In this fascinating part of France adventurous visitors might take up the chance to partake in picnicking, sunbathing and city walking tours. The nearest hotels in Saint-Raphael include Frejus and Frejus. Frejus is 6 miles (10 kilometers) to the northeast of Roquebrune-sur-Argens, while Frejus is 6 miles (10 kilometers) to the northeast. Lodgings in Frejus include the La Bastide du Clos des Roses and Romantic Hôtel La Chêneraie. 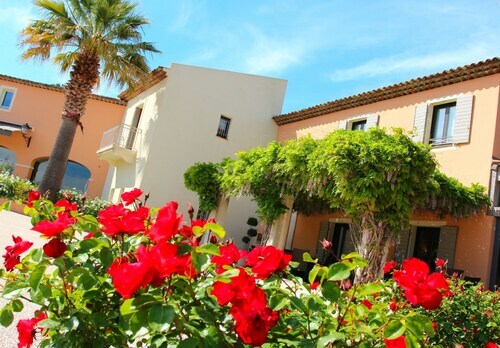 The Résidence Les Campanettes and Excelsior are amongst the room options in Frejus. If you enjoy sports and really like local clashes ensure you take a trip to Allianz Riviera, which is 35 miles (54 kilometers) to the northeast of Roquebrune-sur-Argens. Travelocity readers that are keen on booking a room not far away, book a room in the Radisson Blu Hotel, Nice or Novotel Suites Nice Aeroport Arenas. Cote d'Azur Airport is 35 miles (52 kilometers) from central Roquebrune-sur-Argens. Enlightened travelers who choose to find a hotel nearby can reserve a night at the AC Hotel by Marriott Nice or the Hi Hotel.